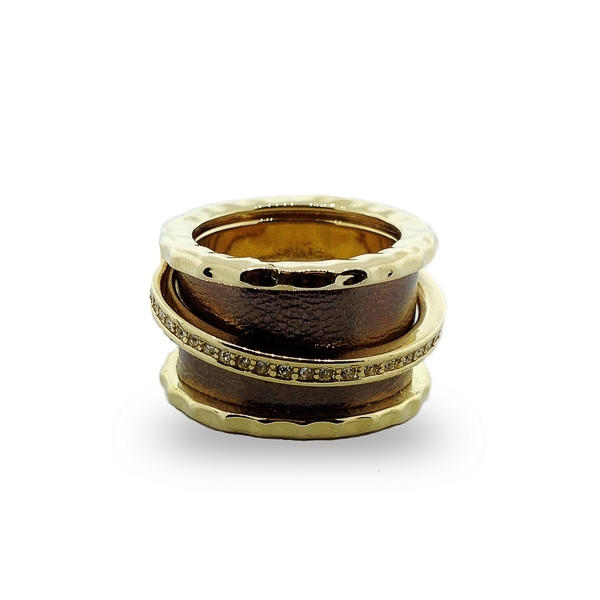 Description: This piece features a floating crystal band over a wider dark bronze synthetic leather band. Unique and fun ring for daily wear. Enter Quantity for R-AE028-YG&BRNZ to add to your shopping cart.